Rick is an astonishingly talented sketch artist. Inspired by illustration and mural work of the late 1800’s and early 1900’s, he likes his art to tell a story about what is happening around him. Myers lives in Port Townsend and attended the Wooden Boat School. 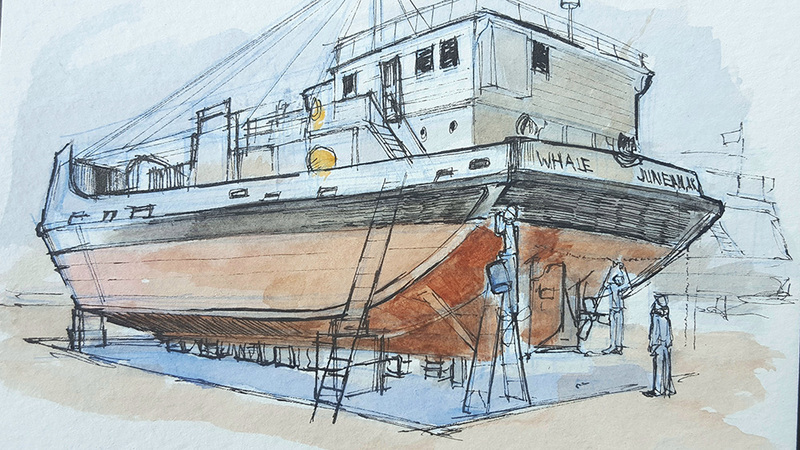 His current focus is the boats and rich maritime culture of Port Townsend. A pleasant musical atmosphere will be provided by singer/songwriter Kristin Myers and Raven.